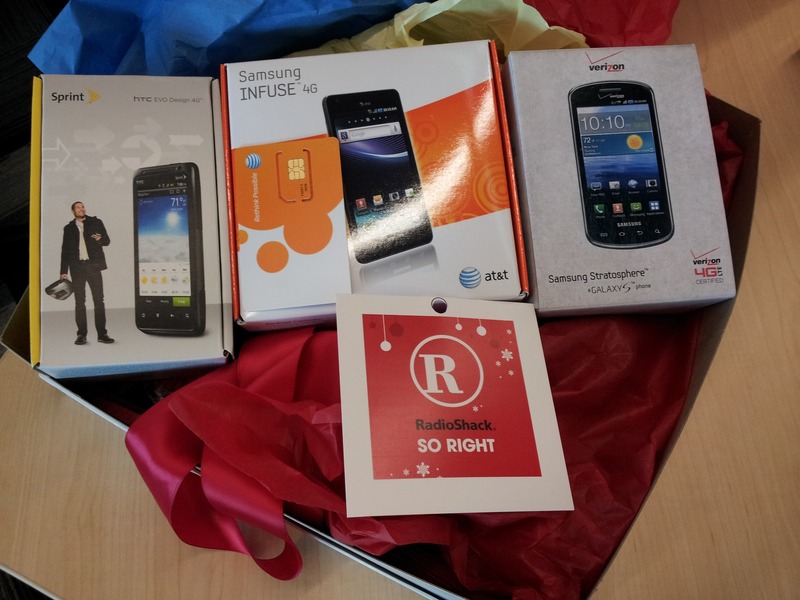 A few days ago, we received a mystery package from the good folks at RadioShack. Inside the package were three phones - the Samsung Stratosphere on Verizon, HTC EVO Design 4G on Sprint, and Samsung Infuse 4G on AT&T. Since these phones are ours to do with what we please, we've decided to do what we always do when we end up with extra goodies: give them away. Since we have three phones to hand out, we're going to make each contest quick and dirty.